War in Iraq, economy, national security, health care, education, civil rights, environment, constitutional system of checks & balances - these & other vital issues are major concerns to Americans today, yet all have been mishandled by Bush administration. 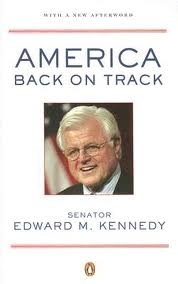 For Senator Edward Kennedy, it is proof that nation has departed more deeply from its fundamental ideals than at any time in modern history. Responding to erosion in our long standing values, he identifies 7 principal challenges on defining issues of our time & offers proposals for putting America back on track to achieving its great promise of liberty & justice for all.